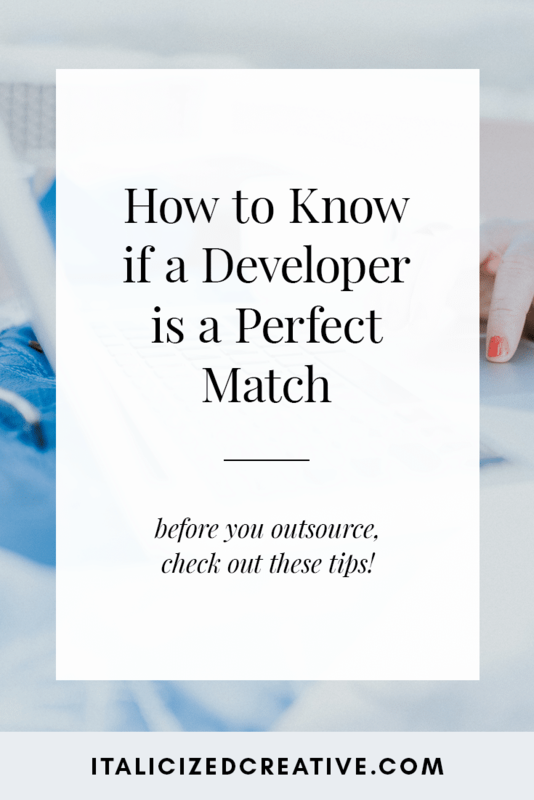 When you’re looking to outsource development, it can be daunting trying to decide on a developer. Are they talented enough to get the job done right? Are they within my budget? Will they understand your vision and mesh well with you? These are all things to consider when hiring a developer. Unfortunately, figuring out the answers to these questions isn’t exactly easy. However, there are some things you can do to ensure that working together will go smoothly. The first thing you should do before you even think about hiring a developer is to check out their work. Take a look at their website. Do you like what you see? Then take a look at their portfolio pieces. If you can, click on over to each site they worked on. Unlike design which can be conveyed via screenshots, for development, you’ll want to interact with the live site, if possible. Click around and see how it works. Use different devices to see how the site adapts to different screen sizes. If you generally have a positive experience, then you’re off to a great start. But if interacting with their sites has left much to be desired, strike them from your list. Seeing a developer’s work is one thing. How they work with clients is another. Take a look at their site for testimonials. What are their clients saying? If they don’t have testimonials, email their past clients. Ask them about their experience with the developer. You’ll be able to quickly tell if a developer is worth your time based on what their clients are saying. A developer may come highly recommended and do wonderful work, but if the two of you don’t mesh well, then the project is bound to be a disaster. Hopping on a call with them will give you insight that you can’t get anywhere else. Plus, scheduling a chat gives you the opportunity to ask them questions that’ll really help you determine if they’re a good match for your project. When you find a developer that sounds like a perfect match, work with them on a trial basis. And by trial basis, I don’t mean hire them for free. Instead, hire them for a small project. This will give you the chance to see how they work and how well you both work together. By working on a smaller project, you’re covering yourself should anything go wrong. There’s nothing worse than hiring someone for a large project only to quickly realize that it was a poor decision. So start small and then you’ll have the confidence to hire them for larger projects. Have you worked with a developer that you absolutely loved? How did you ensure it was a perfect match?